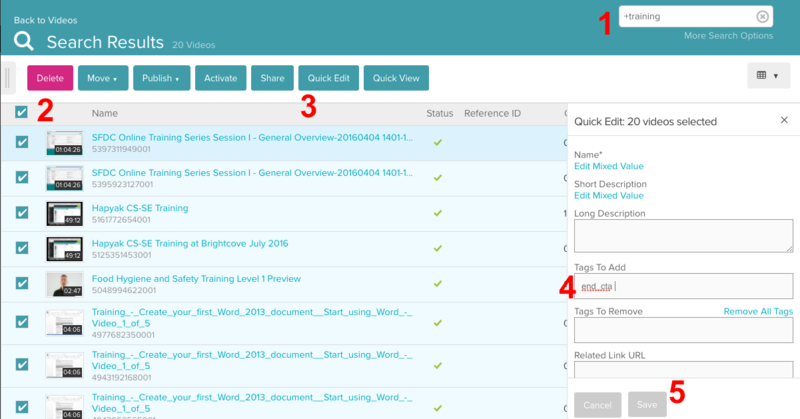 In HapYak, Go to a Template, Click Configure, Add a tag, all lower case, no spaces. 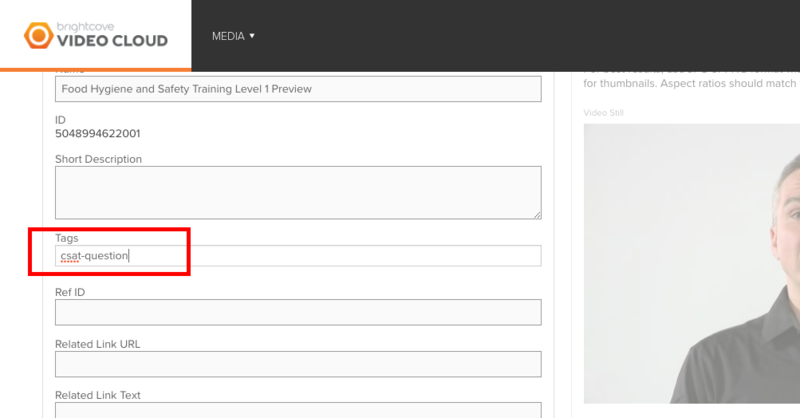 In Brightcove / Media, Go to the the Video Information section. Click Edit. Add the same tag. The annotations from the template will automatically appear when the viewer plays the video. (Note there may be a slight delay due to caching before they appear). 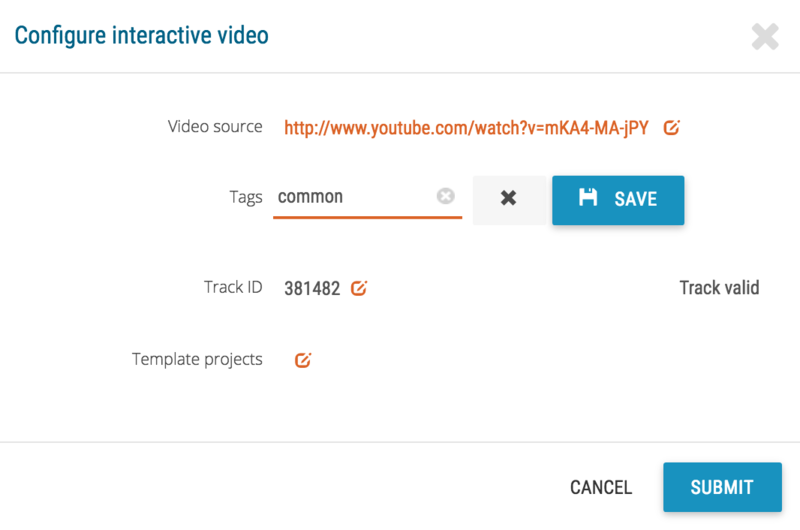 In Brightcove / Media, use the native Media Search features to search for all the videos you'd like to add the template to. Add the same tag from step 1. Click "Save". 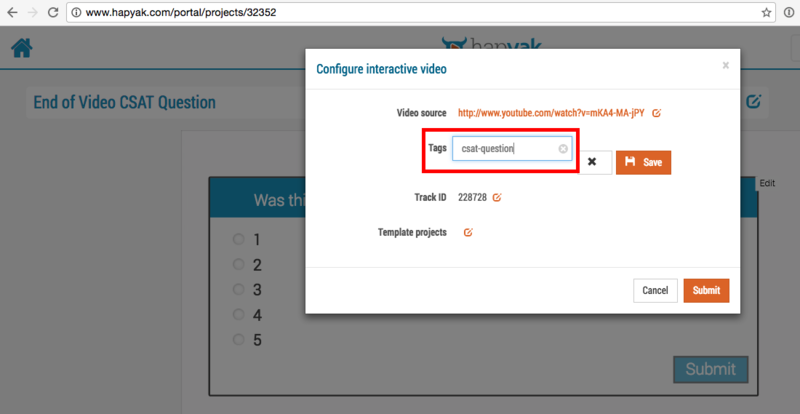 In HapYak, Go to a Template, Click Configure, Add a tag, "common"
**NOTE: This will apply the template to EVERY video published through the players that have the plugin. Removing the tag "common" from the template will remove the template.